Jessica Jones: I'll have a better chance of figuring out who's working with Kingpin if I take some photos of everyone on the campus. Black Widow: Try Club A. It's where you'll usually find the most people. Black Widow: It's more like a dive club. Jessica Jones: What do you know about Loki? Black Widow: He's a master of deception and manipulation. He's always trying to uncover people's secrets and lies. Jessica Jones: So he's like us? Jessica Jones: I wanna talk to you. Jessica Jones: I wanna know all the dirt you've found on Fury and everybody else at the Academy. Jessica Jones: I'll share everything I know about The Hand's magic. Loki: Don't look at me like that. Jessica Jones: I'm just...wow. This was a meeting to share information, not a therapy session. Loki: Every conversation is always both of those things and more. Jessica Jones: I mean, I have a messed up past too, but I don't go blabbing it around. Loki: Congratulations on having no aspirations of ever being well-adjusted. Black Widow: How'd things go with Loki? Jessica Jones: Fine. I'll keep working the case. Right now, I just need to hit something. 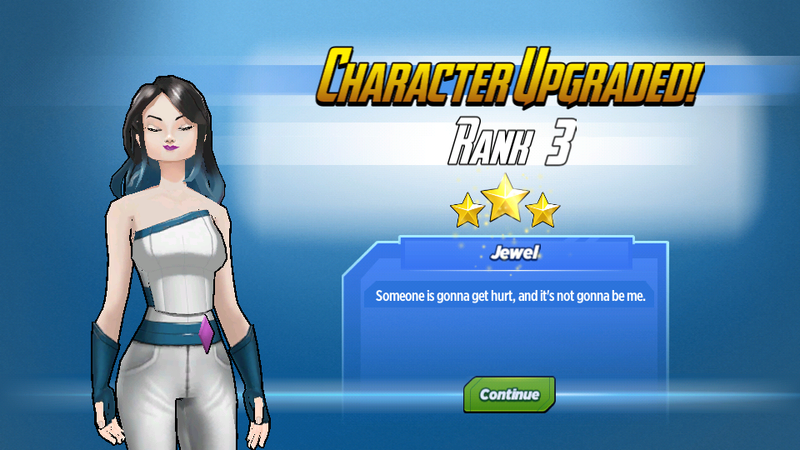 Jessica Jones: Temporarily. Better still feels pretty far from good. Black Widow: Do you wanna talk about it? Luke Cage: Uh oh. I don't like that look. Jessica Jones: I don't wanna talk about it. Luke Cage: You ready to not talk more? Luke Cage: You don't have to say his name. You never have to say anything. Your unsmiling face is more than enough for me. Jessica Jones: Why do you put up with me? Luke Cage: Because you're worth it, Jessica Jones. Jessica Jones: Why dies everybody think they know what my expressions mean? Hellcat: I'm no private investigator, but when somebody spends ninety percent of their life with no expression at all, it makes it easier to tell what the rare expressions mean. Jessica Jones: What does this expression mean? Hellcat: Trouble for anybody who gets in your way. Jessica Jones: I need to see the list of all the potential recruits who've turned down Avengers Academy. Jessica Jones: Because somebody here is actively discouraging people from attending, and I want to know why. Jessica Jones: What happened here? Hank Pym: A literally inconceivable amount of things! 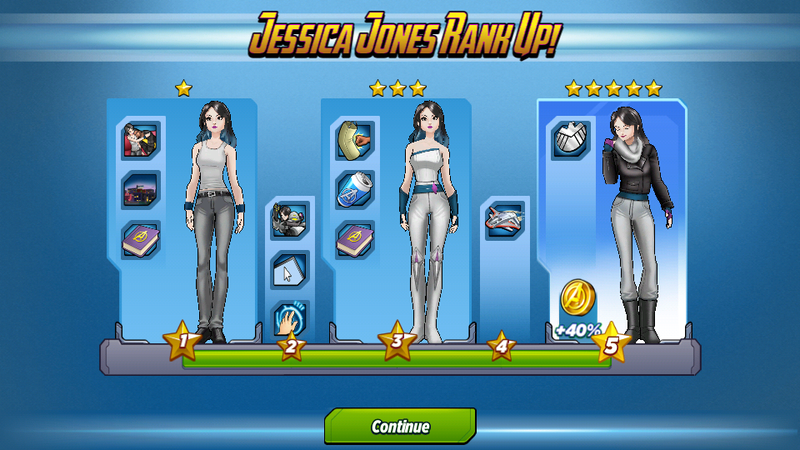 Jessica Jones: What happened to you? Hank Pym: Are you exploring life's existential mysteries?! Jessica Jones: Are you gonna give me any answers? 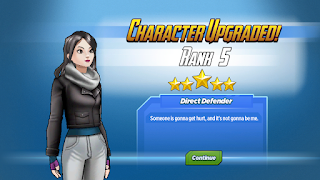 Hank Pym: Perhaps I already have! Perhaps the Timefog and the campus itself have been attempting to give everyone the answers from the very beginning! Isn't that exciting?! That's science! Hank Pym: Fascinating! Who am I?! Hank Pym: I think you have an incredibly incisive mind! You should consider a career in the sciences! Jessica Jones: I think I'm gonna find some proof, and force you tell me the truth, or leak everything I find out about this place to every media outlet on the planet. 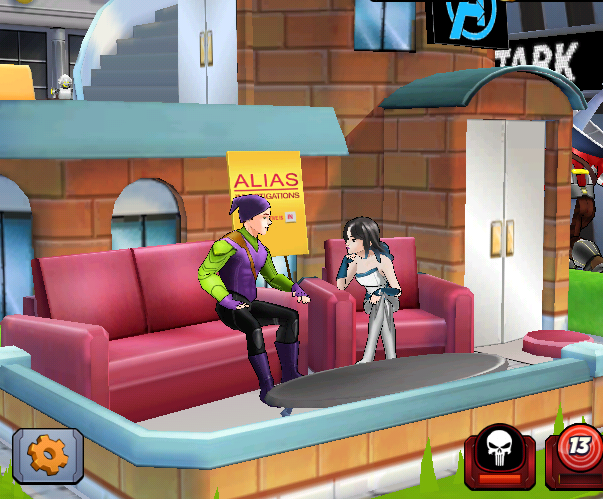 Jessica Jones: Tell me about when Pym gave you the Ant-Man suit. Jessica Jones: In your cell? Ant-Man: Yup. He was watching an ant crawl across the toilet. I never really asked if he brought it with him. The ant, not the toilet. Jessica Jones: And he just handed you the suit? Why? Ant-Man: He said Director Fury wanted me to have it. Said it was about time. Jessica Jones: He didn't say anything else? Jessica Jones: Why did you stop being Ant-Man? Hank Pym: I'm incredibly happy being a professor at Avengers Academy. Director Fury had a very specific vision for the faculty and student body. Jessica Jones: Did that vision include me? Hank Pym: I can't be inside of Director Fury's mind. I suppose I could. Anything is possible with science! Hank Pym: But will you find out who you really are?! That's the greatest discovery of them all! Captain America: You look ready to fight. Jessica Jones: That's my standard look. Today, I have a particular reason. I want you to help me train. I can brawl, but my technique is...I don't really do technique. Captain America: What are you preparing for? Jessica Jones: Uncovering the truth about the universe on my way to saving the world. Captain America: You're doing great. I don't wanna coach all of that wildness out of you. The brawling is powerful and unpredictable, and if you think about technique too much you'll hesitate or pull your punches. Jessica Jones: Thanks. Have to admit, I never saw myself training with Captain America. Jessica Jones: Because you're Mr. Perfect Shining America Avengers Guy, and I'm a mess. Captain America: Nobody's perfect. I'm just a kid from Brooklyn. Jessica Jones: I threw a car at a guy in Brooklyn once. Good times. Jessica Jones: Director Fury agreed to meet with me in S.H.I.E.L.D. H.Q. I want you to come with me. Jessica Jones: I'm good at telling when people are lying, but you have a freakish gift for it. Daredevil: You're such a charmer. Why do you think Fury is gonna lie to you? Daredevil: You're right. Every time you asked him anything about Pym, the Timefog, or a hidden power source at the Academy, he lied. Jessica Jones: I thought so, but it's good to have confirmation. 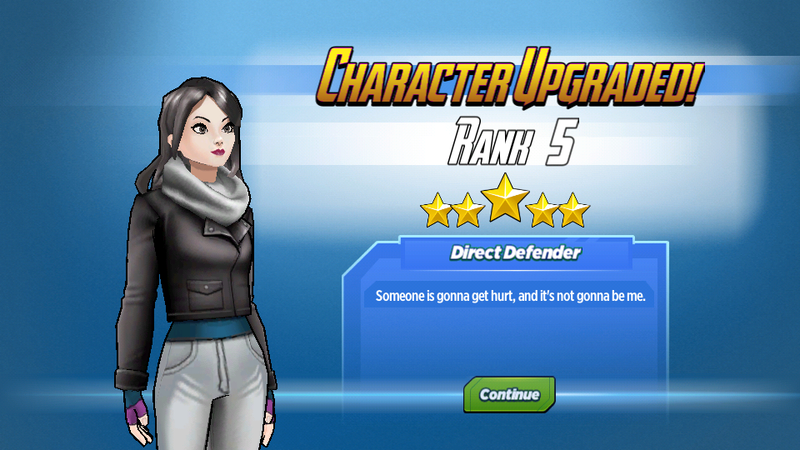 Next step is shadowing Pym until I catch him slipping up. Daredevil: He could be lying for a good reason. He could be trying to protect us. What do you think of Jessica Jones? Did you buy her?